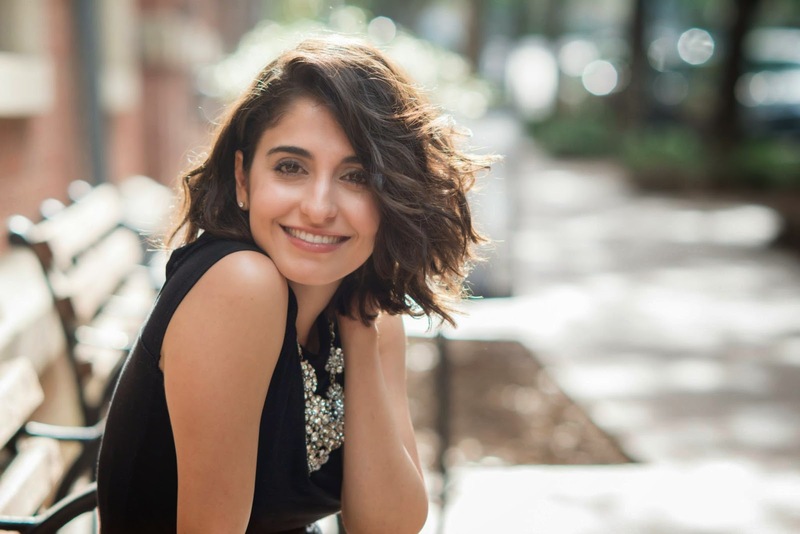 Small 4 Style: Shirin Askari - Project Runway to This Chic is Bananas! Shirin Askari - Project Runway to This Chic is Bananas! I've been a dedicated Project Runway fan since the age of 11. After seeing every episode for the past 10 years, I've developed a few favorite designers that have really blown me away with their talent. Luckily one of my favorite Project Runway designers is based right here in Dallas. Shirin Askari began designing several years before her Project Runway season 6 debut in 2009. After sharing her designs on national TV, Shirin moved to New York to design and sell her line of contemporary clothing, evening dresses, and custom bridal. Her gorgeous new RTW line ASKARI launched in January, and it really is to die for! I couldn't believe when I saw the price tags - couture quality for a moderate price. Shirin isn't just remembered from Project Runway because of her talent. Although I've never met her in person (I hope to meet her one day! ), I got the opportunity to ask her some questions over email. Her likable personality and love of fashion were evident through her responses. Her energy almost radiated through the computer! She describes her style as "feminine and edgy." As a lover of Dallas style, Shirin likes that it's a city where women "go out of their way to dress up," no matter the occasion! Her classic style icons are both Hepburns: Katharine and Audrey. Victoria Beckham, Blake Lively, and Miranda Kerr are some of the current day stylish women that inspire her. But she doesn't like to stick to just one fashion icon, which is just like me! "Persistence and hard work is key. Also - never stop learning and improving your skills." My friend and PR expert Bri Crum let me borrow some of the cutest pieces from the ASKARI spring 2014 collection. My favorite is the "Brooke" dress, which my friend Elizabeth West models above. Each outfit that Shirin designs is unique and interesting. An ASKARI dress or top doesn't look the same from every angle. She always adds some interest to her clothes. Last summer, Shirin styled a collection of outfits for me from Front Door Fashion. She put things together that I would have never thought of, and that was cool to see. The same goes for her own designs. To see more, check out Shirin Askari's website to view the spring 2014 collection as well as the brand-new fall/winter 2014 collection. Let me tell you, this chic really is bananas! The clothes look so adorable on you.. Love Shirin's designs.. ! We love the Brooke dress and Shirin too! I'm looking all over for that tee! Where is it available for purchase?